Smith of Derby Ltd was engaged to create the centre piece of the lobby by leading London design practice, Hirsch Bedner Associates, HBA. 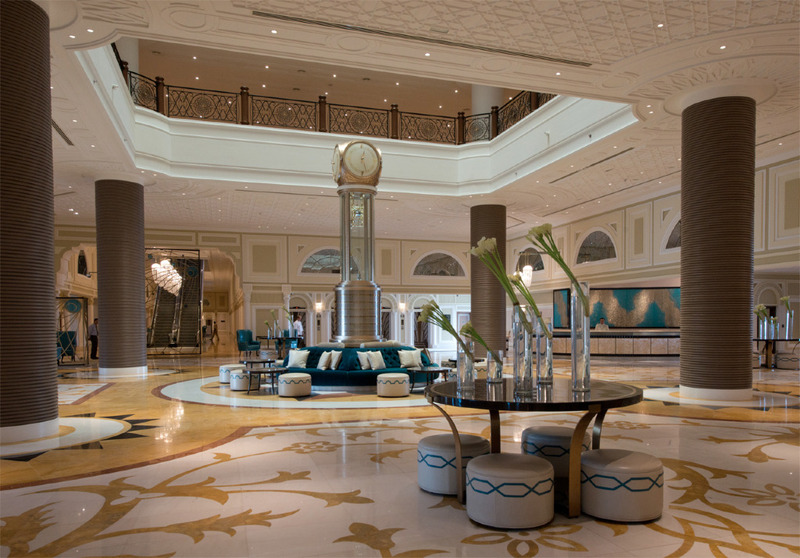 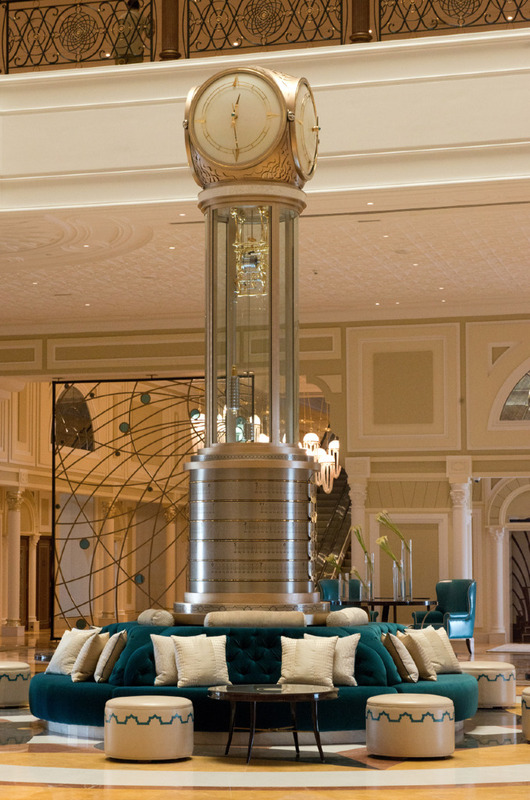 The clock standing at over six metres high is a golden master piece that welcomes guests in spectacular style. 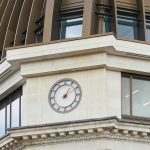 The feature includes a pearlised domed glass dial set with striking hour markers and aquamarine centre; a traditional gold-plated Whitehurst 7 day mechanical movement with pendulum regulation driving the four sets of delicate gold plated hands. The clock also celebrates its Arabic setting with 5 rotating prayer rings at its base which show the exact minute of each prayer throughout the day. 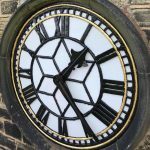 The clock which is culturally rich in design took the team at Smith of Derby eight months to build, used over three tonnes of metal, steel and champagne gold. The inscription on the clock, “From your homeland travel abroad to find glory” is taken from Bedouin songs and poems about travel including Iman Al-Shafe’e, a Muslim scholar and poet (circa 1,200 year ago). A glass tower encases the traditional gold-plated Whitehurst 7 day mechanical movement. 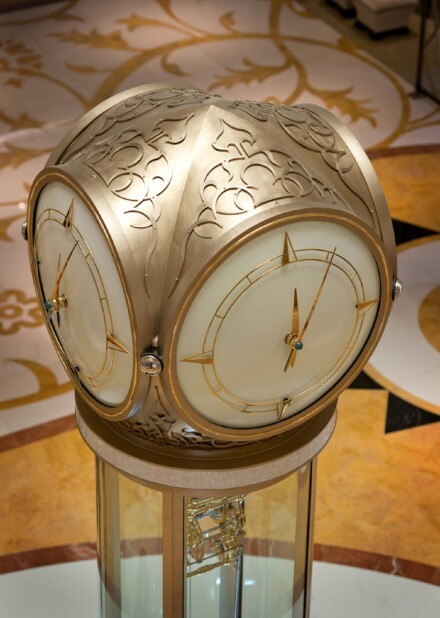 The movement drives the four sets of delicate gold-plated hands in a solid cast bronze head. 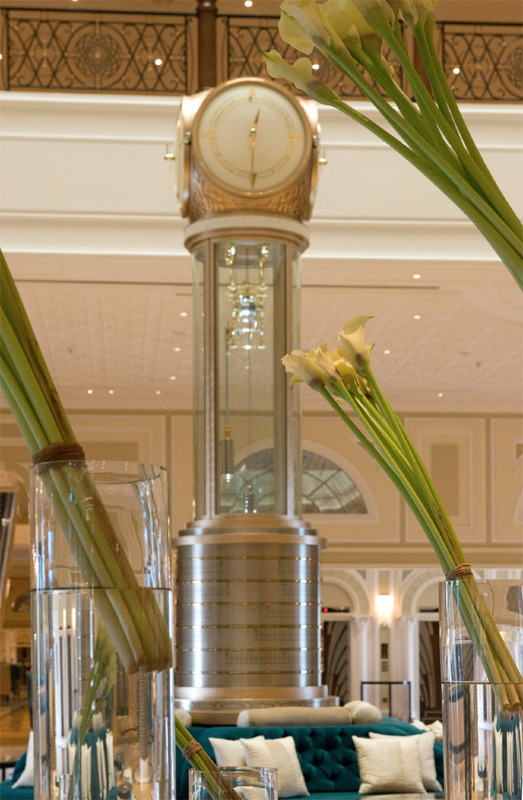 The clock celebrates its Arabic setting with 5 rotating prayer rings at its base which show the exact minute of each prayer throughout the day. 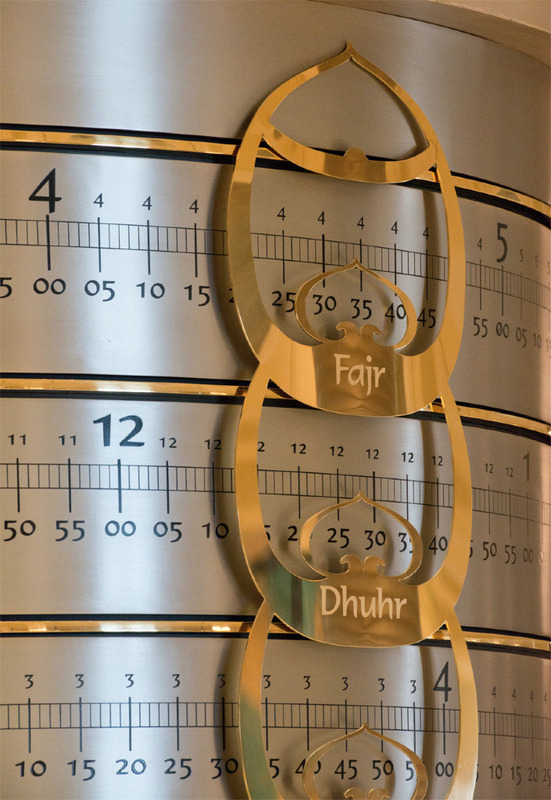 Brushed stainless steel prayer rings as the base section rotating at midnight to the prayer time of the following day. 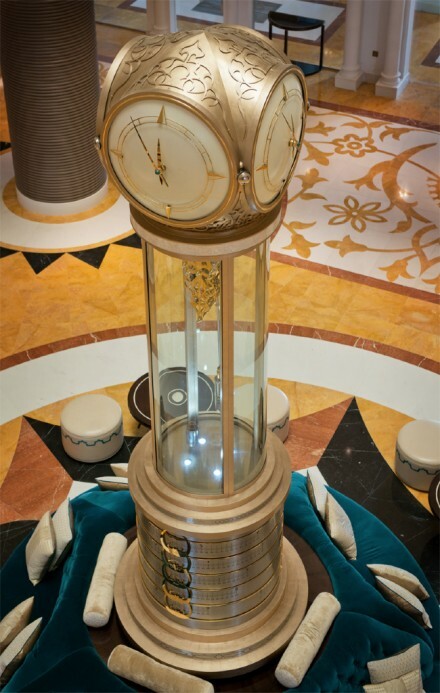 The dials are pearlescent with an emerald jewel centre holding the gold-plated hands. Automatic winding and GPS pendulum is hidden in the clock mechanism. Astrolabe finishing is used as markers to indicate the prayer time. 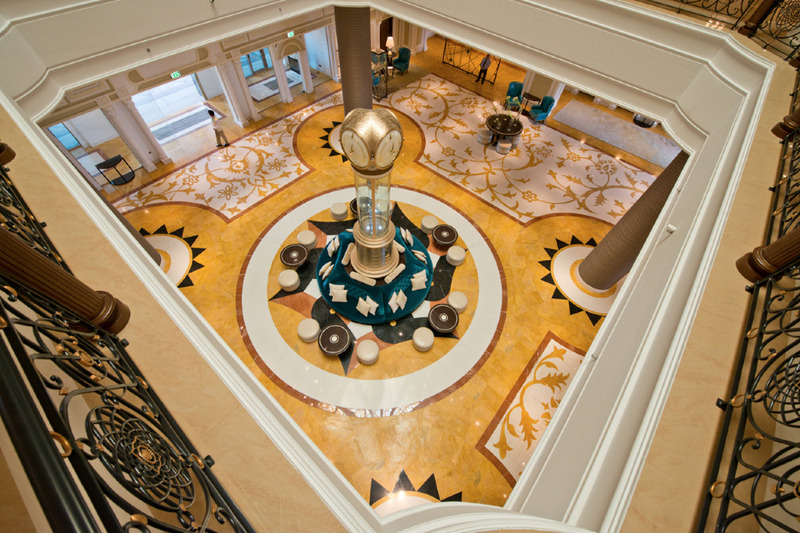 Subtle lighting from the base lights the movement.